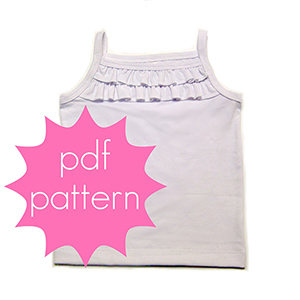 A slim-fitting hip-length tank top with dainty straps and 2 delicate rows of ruffles along the neckline. This modern, classic and versatile tank is great for layering and easily goes with skirts, under jumpers or cardigans, or even paired with leggings or jeans. Comfortable enough for everyday play and yet sweet enough for any occasion.